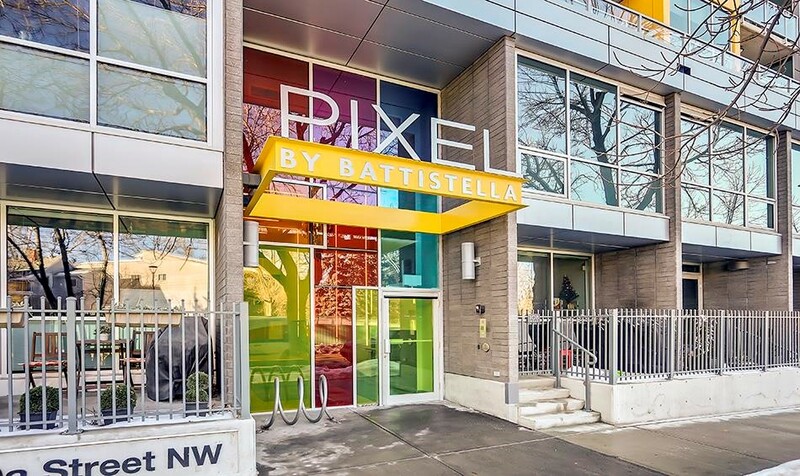 One bedroom + den condo at PIXEL by Battistella in Kensington. 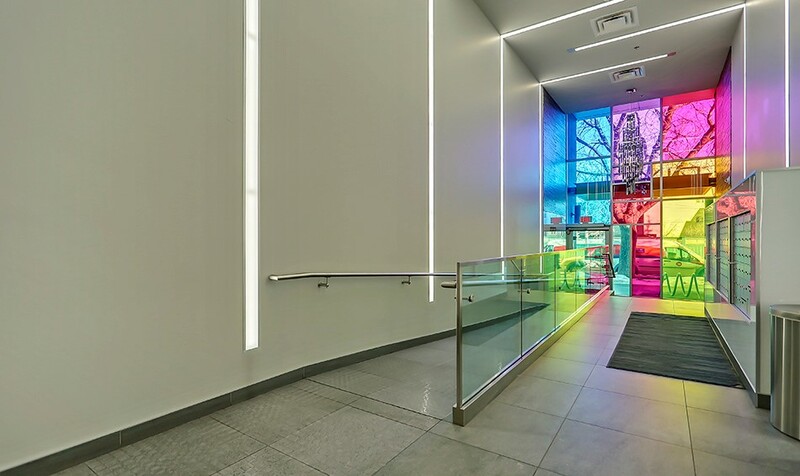 Built in 2013, the home is 668 sqft and features an open concept living and kitchen, floor to ceiling windows, and polished concrete floors. The condo has an expansive outdoor patio with planters. 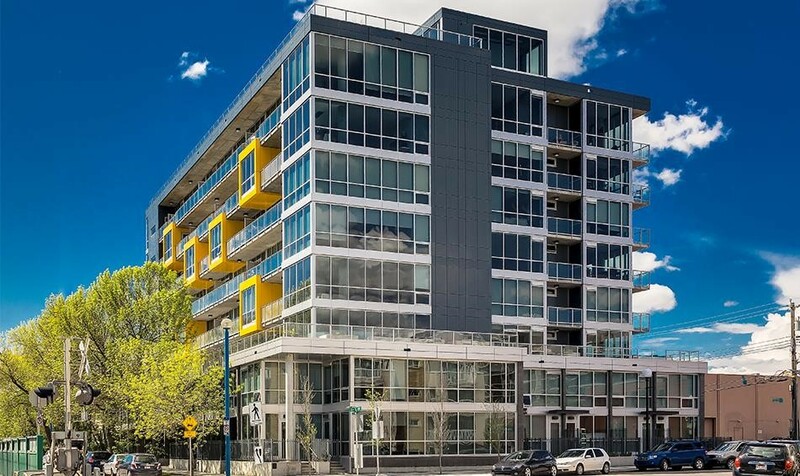 Tenants have access to the common area rooftop patio that has seating, a gas fireplace, and expansive views of the downtown skyline.